Thanks for all the love for my last post! Such a nice welcome back to the blogging world after a few months off! 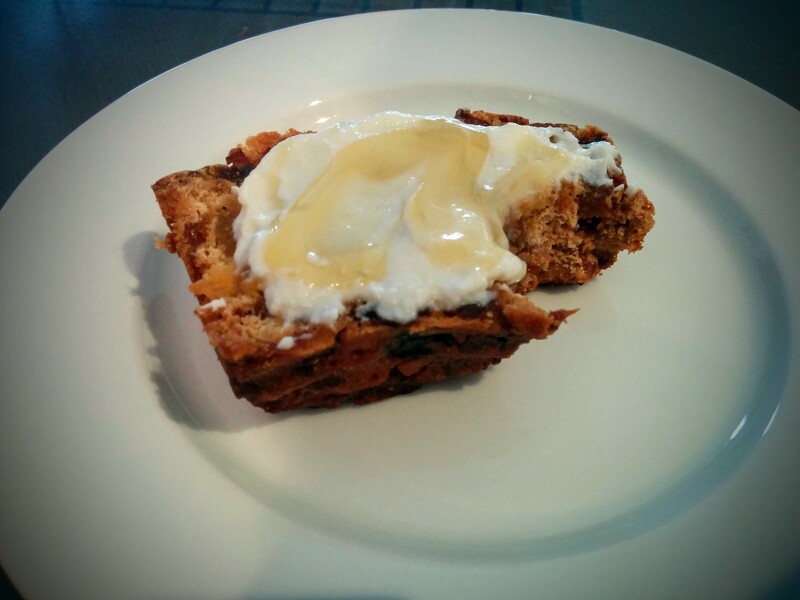 When I was in Melbourne, I had a delicious Fig and Apricot loaf for brunch one day. It was served with ricotta and honey and was just superb! I thought I’d try replicating it at home. 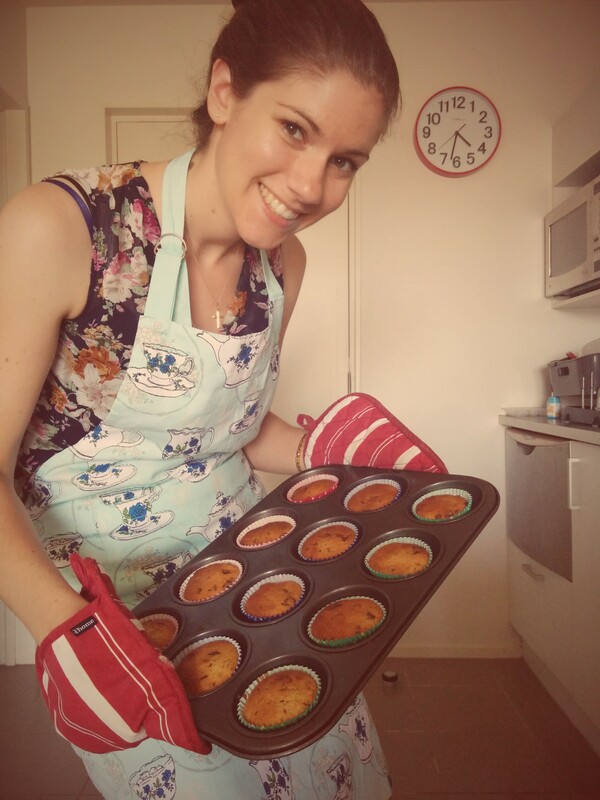 I modified this recipe from Poires au Chocolat, and it turned out amazing! I didn’t have any pecans, so I used a mixture of almonds and walnuts. It’s fragrant, dense and filling. Perfect with a cup of tea! So tasty smothered in ricotta and honey. Or with a cup of tea. 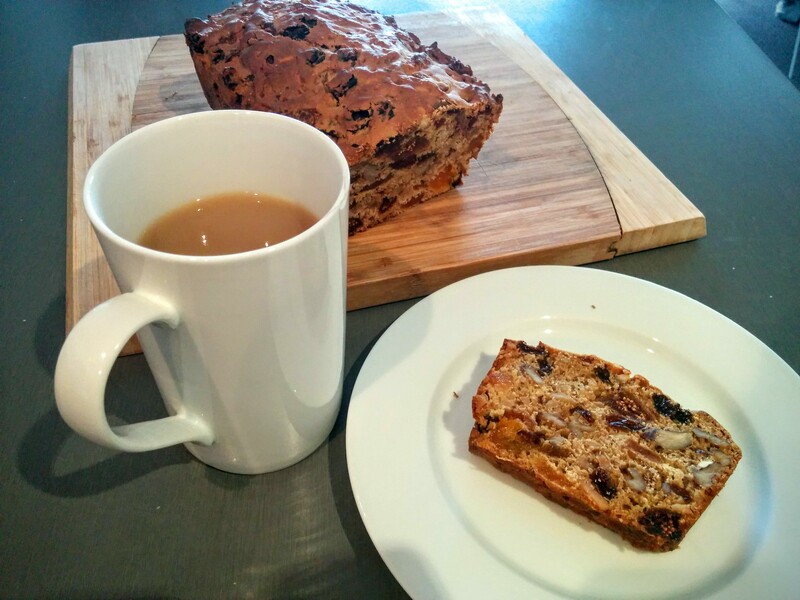 This loaf has lasted me all week, it’s so perfect for morning tea. 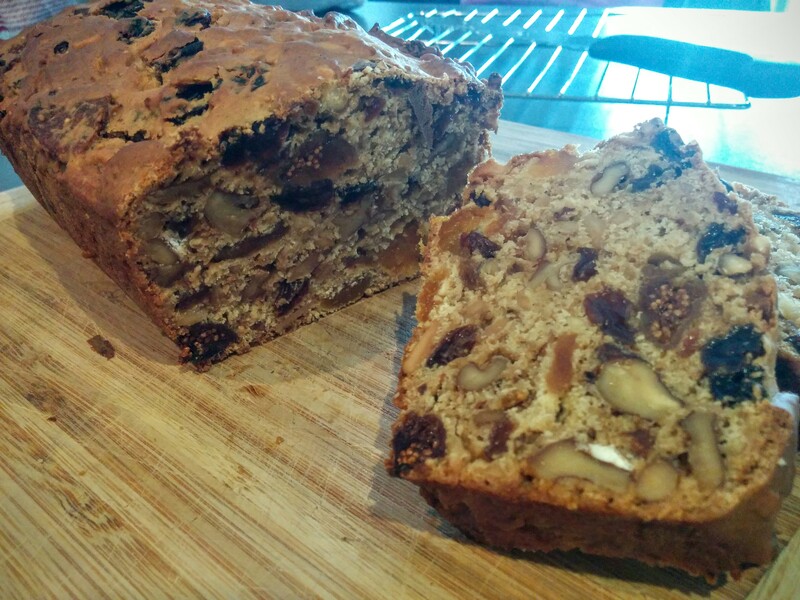 I love the crunchiness of the nuts and fig seeds. Cook the dried figs, apricots and raisins in Earl Grey tea with vanilla until they’re nice and plump. It’s a pretty straightforward recipe: steep your tea until it’s very well brewed, add your fruit and vanilla and cook them until they’re juicy and plump. 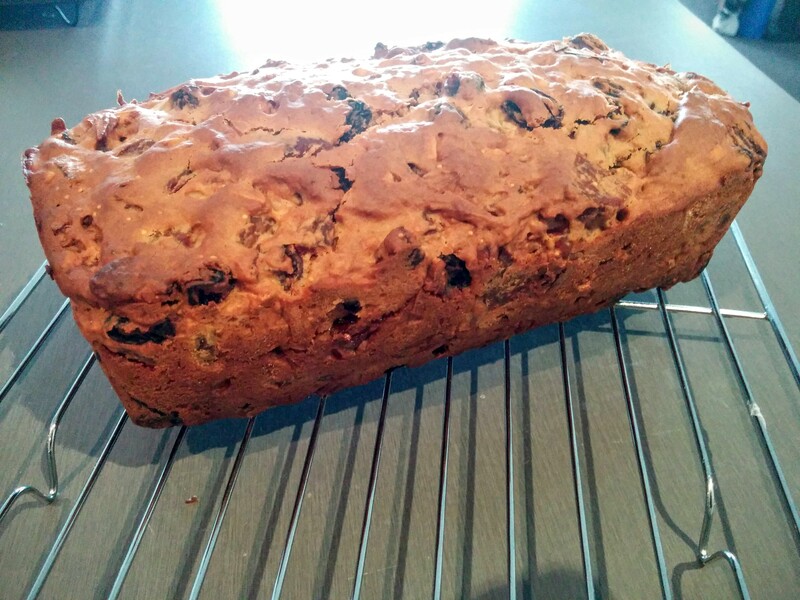 Combine with toasted nuts and the rest of the loaf ingredients and bake… yum! Look at this goodness! Yum! 150g nuts (pecans, almonds, walnuts), roughly chopped. Preheat the oven to 160ºC, fan-bake. Grease a loaf tin with butter or oil. 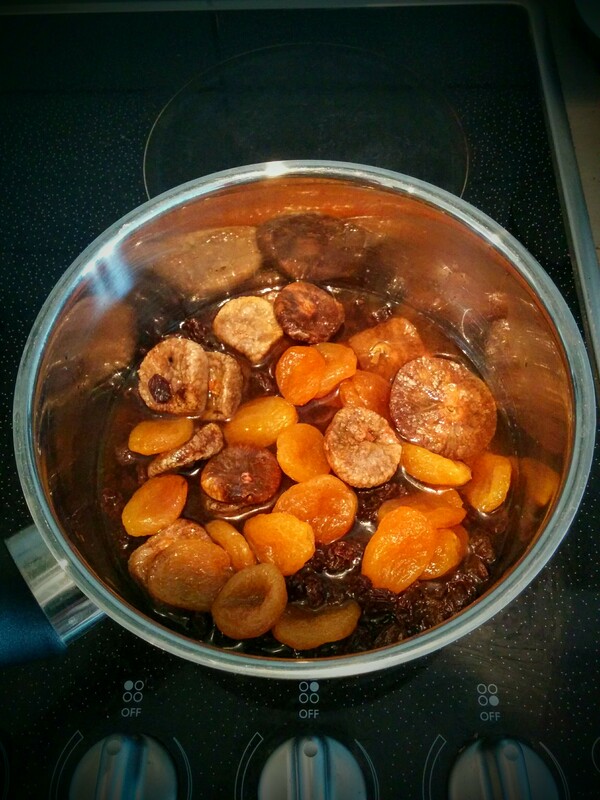 Put the apricots, figs, raisins, vanilla and tea into a medium sized pot. Cover and bring to the boil. Once it has come to the boil, lower the temperature and simmer for half an hour to an hour, until the fruit is soft and plump. Allow to cool, strain the liquid (keeping it!) and chop the figs and apricots into quarters. While the fruit is stewing, toast the nuts in the oven for about 5 minutes, or until lightly golden and fragrant. Top up the reserved liquid from the fruit to a total of 100ml with water. Add sugar and salt and heat over a low heat until the sugar has dissolved. 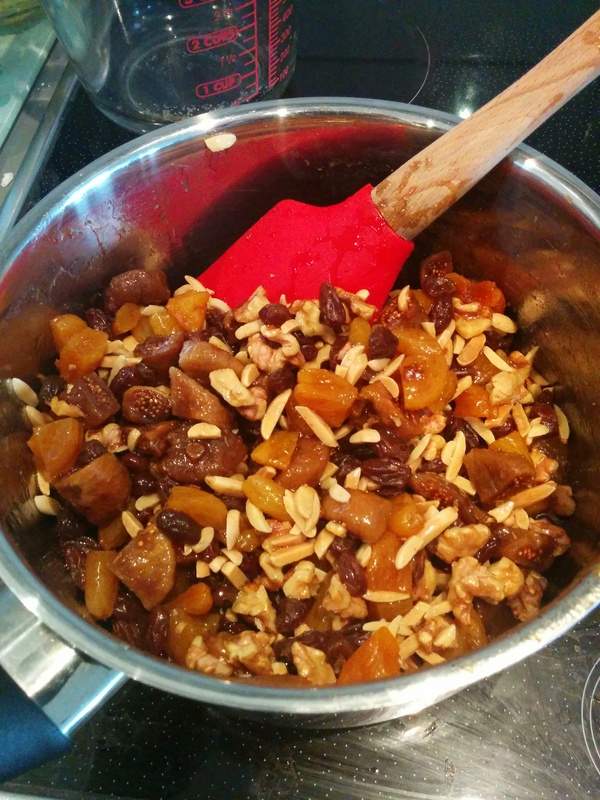 Add the chopped fruit and nuts into the syrup, combine. Add in the lightly beaten egg and stir. Add the remaining ingredients and stir to combine. The mixture will be quite stiff. Tip the batter into the loaf tray and bake for about an hour, or a skewer inserted into the centre comes out clean. After about 40 minutes you may need to cover with tin foil to prevent it from burning. Cool for about 5 minutes in the tin before tipping out onto a wire rack to cool. Will keep for about a week in a tin. Your loaf looks and sounds really yummy. I live in Melbourne and have just gone looking for a recipe for this bread because I’ve eaten one out for brunch recently and can’t find anywhere to buy it!! Thanks for posting, cannot wait to try it!! Keep Calm & Cake Create a free website or blog at WordPress.com.